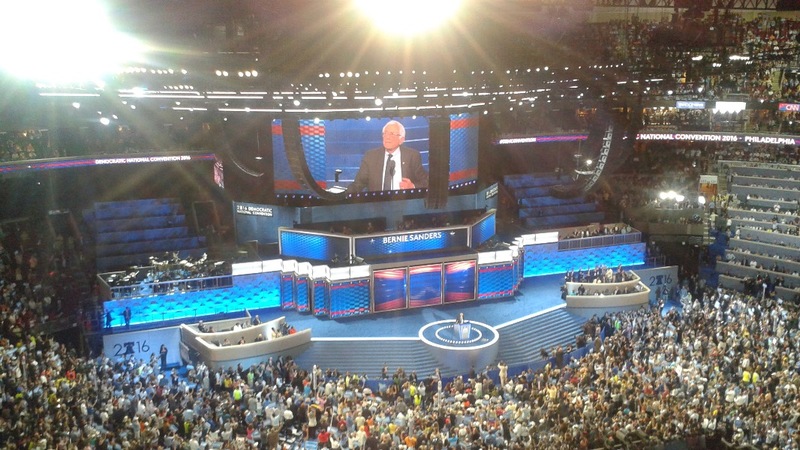 Please help Bernie have a positive effect on the Democratic Party Platform for 2016 by sending his strong advocates to the Democratic National Platform Standing Committee in July. 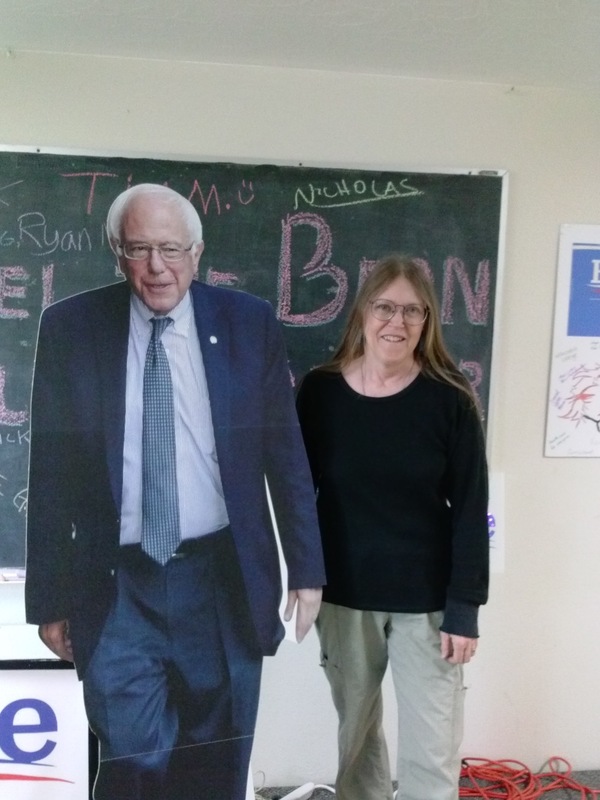 I have been appointed as the only representative for Bernie from Oregon to the Platform Committee, where I will work with other delegates to finalize the 2016 Democratic National Platform. I am studying hard, and assembling reference materials and supporting facts so I can help other Bernie delegates advocate as strongly as possible for his planks to be incorporated in the Platform. 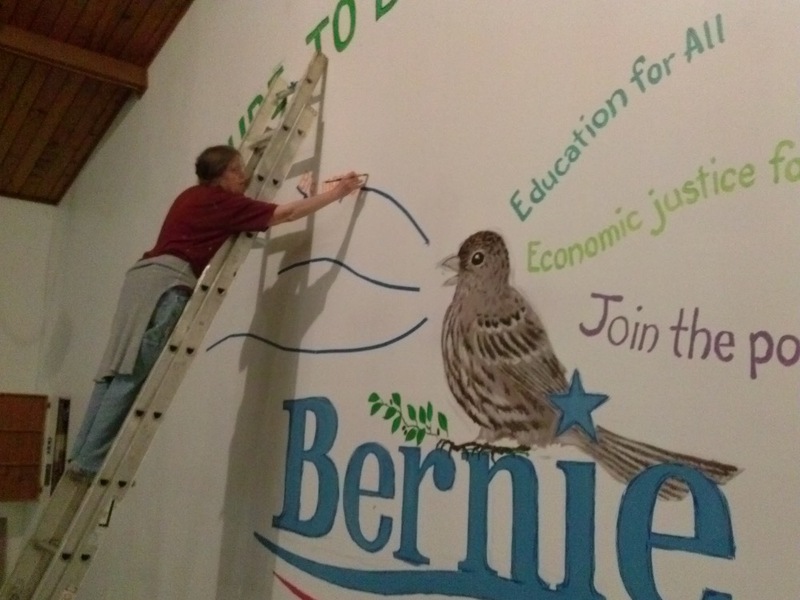 Environmental justice, clean energy, and confronting climate change as strongly and rapidly as possible are my top priority -- because we can't do anything without a livable planet, but I will fight for every one of Bernie's planks as hard as I can. 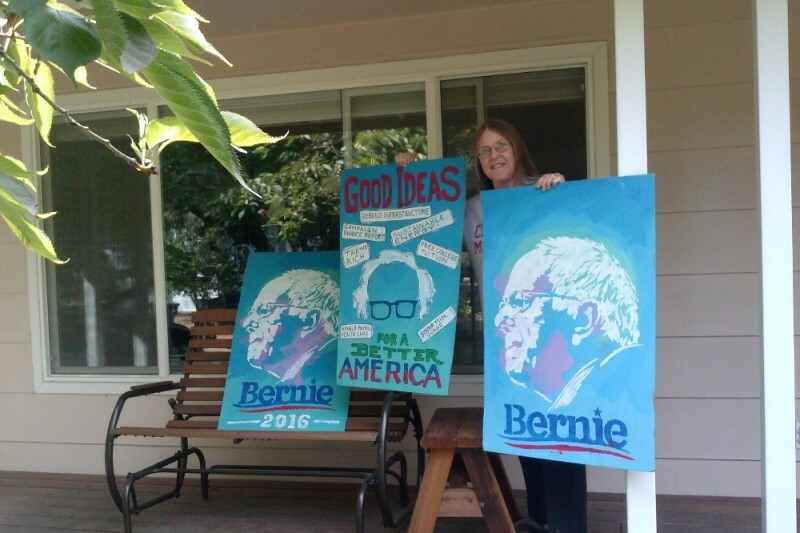 Bernie Sanders' positions on critical issues caught my attention and inspired me to become a volunteer for him in Lane County (Eugene, Oregon) over a year ago. I started as an artist making posters and working on creative outreach in our Alternative Marketing Committee. As the movement gained momentum, I saw the need to contribute other kinds of work, and learned to do data entry, door-to-door canvassing, volunteer recruitment, phone banking, and other work wherever needed. As of June, I have logged over 3,000 phone calls (to Ohio, Arizona, Washington, Pennsylvania, New York, Oregon, and California), among other work. I am deeply interested in policy because that's how things get done. I seek precision and clarity in language; and strive for effective, practical solutions to problems. I work empathetically and collegially with people, respecting their skills and experience. I take the work of the Democratic Platform Committee very seriously and have made an all-out personal financial commitment to get there and participate. To do my job I will have to make two long trips from Oregon. 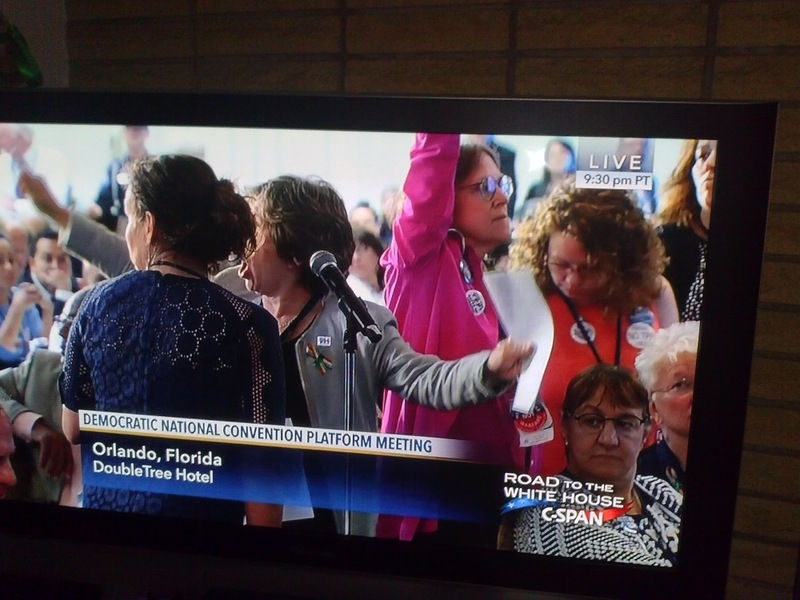 The first is to Orlando, Florida, July 7th-10th, to help finalize the Democratic National Platform. The second is to the Democratic National Convention in Philadelphia, July 24th-29th, where the voting delegates will review and approve the final version of the Platform. I need to pay for airfares, hotels, food, taxis, and shuttles. I will travel as frugally as possible, and I estimate the cost to be about $2,000 for each trip. All of my life I have hoped to make a difference for the good in the world. Thank you from my heart for any donation you may make to help me contribute to this important work. Thank you so much for your kindness and generosity. Your contributions enabled me to meet a number of my expenses going to Orlando and Philadelphia, and afterward to meet my bills. Recently, some relatives have unexpectedly given me some help which makes it unnecessary for me to seek any more donations. I am happy to think of folks -- who might have contemplated giving to me in the future -- now having the chance to help some of the many other people who need contributions instead. 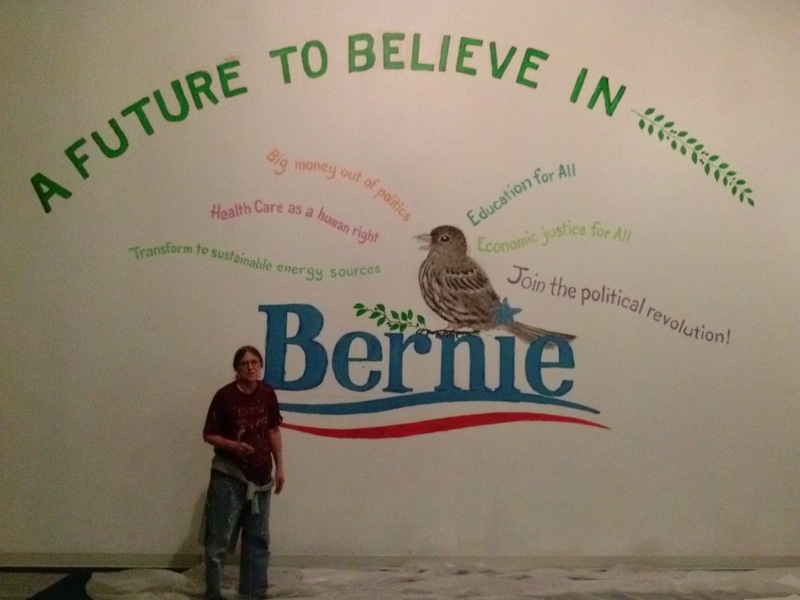 I am continuing the activism Bernie’s candidacy ignited in me by working for progressive causes and candidates. I am phone-banking for Measure 97, a state measure which if passed will place a 2.5% gross receipts tax on corporate sales exceeding $25 million in Oregon — the revenue going for education, health care, and senior services. 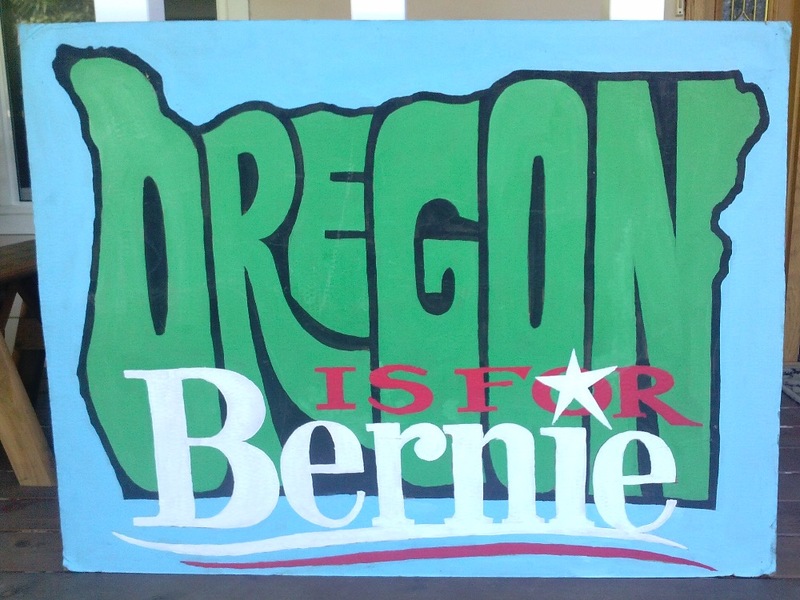 I am going to volunteer for Peter DeFazio, our Oregon Representative who has been a progressive champion for us for years, now a leading opponent of the TPP. And I am sending aid to the Standing Rock and Red Warrior camps of Native Americans who are fighting to stop the Dakota Access Pipeline, protecting the water and the land for all of us. Thank you so much for your help, as we all work towards making the world a better place for everyone. 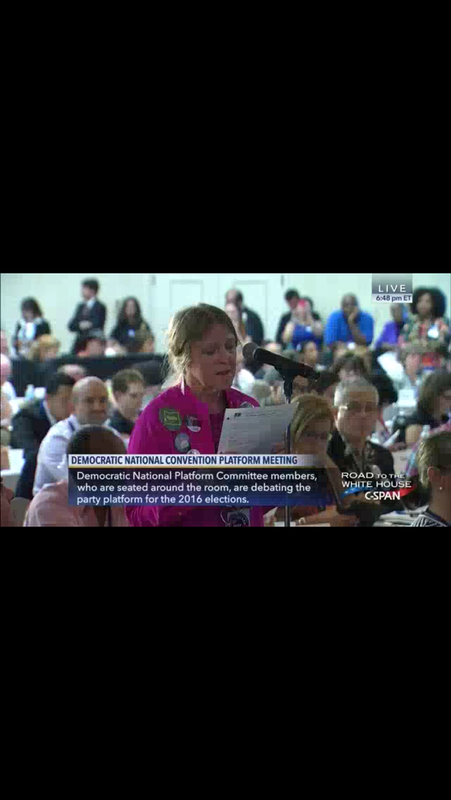 Speaking for amendment at Platform Comm.